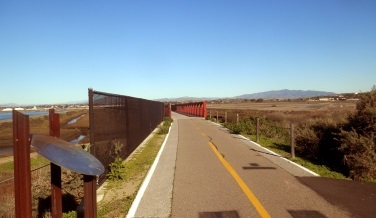 Some Photos from the Bayshore Bikeway Center at 13th Street in Imperial Beach. Two Shops are Set to Open in April. With a coffee shop and Bike repair shop set to open in April the Bayshore Bikeway Center is nearing completion. The Hostel which was part of the project has been canceled as their is no support coming from anyone who would want to operate it. However, the project is moving forward and a restaurant will have the Million Dollar View of Downtown for its customers. Seen in photo above. 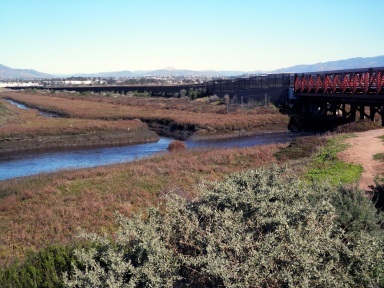 So with the project nearing completion and the first 2 shops getting close to opening we thought we would share with you some of the beautiful sights you will be seeing when you visit the Bayshore Bikeway Center at the north end of 13th Street in Imperial Beach.